Egyptian authorities transferred two senior aides of ousted president Mohamed Morsi to Al-Aqrab prison in southern Cairo on Saturday. 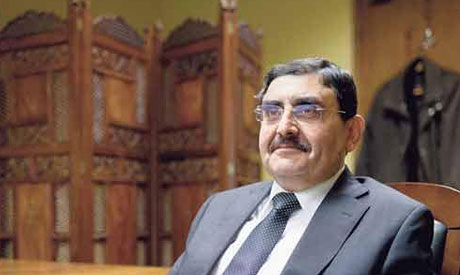 Morsi's aide for foreign relations, Essam El-Haddad, and former head of the presidential media office, Ayman Ali, were transferred to the prison from an unknown location where they had been held incommunicado since Morsi's July ouster, El-Haddad's lawyer Ali Kamal confirmed to Ahram Online. Kamal said that no official charges have yet been filed against El-Haddad and Ali. Morsi and a number of his aides were taken to an unknown location by the country's armed forces after Morsi's ouster in July..
Morsi himself is currently in Borg Al-Arab prison in Alexandria pending trial for inciting the murder of protesters in December 2012 during clashes outside the presidential palace in which at least ten people were killed.